Yet another tsunami in Indonesia. The earthquake and resulting wave of destruction in Palu, Central Sulawesi, is the second major natural disaster to strike the country this year. It is not yet two months since more than 500 people died in the August earthquake in Lombok near Bali. 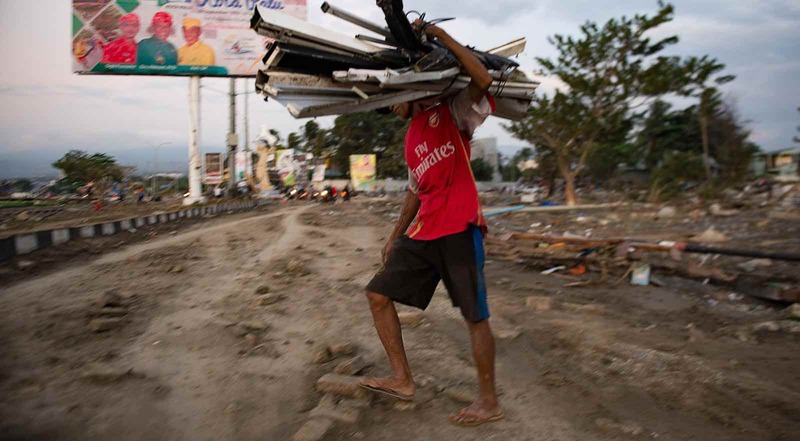 The Lombok quake left around 400,000 living in emergency accommodation. The death toll in the Sulawesi tsunami is still unknown but seems likely to be around the same number – and perhaps more. Early reports usually understate the death and damage that natural disasters bring. Too often, international aid is supply-driven, with donors inclined to provide the sort of aid they think might be helpful, rather than the aid that is really needed. The immediate issue is how best to deliver aid. The first round of assistance will come from within Indonesia. The Indonesian government itself has already responded quickly. Coordinating Minister for Political, Legal and Security Wiranto held an emergency meeting on Friday night, just hours after the disaster. In addition, the highly-respected Indonesian National Disaster Mitigation Agency has quickly begun providing information about the impacts of the tsunami, with the agency’s well-known spokesperson, Sutopo Purwo Nugroho, issuing regular Twitter updates of the situation. And in the aftermath, the debate over what more might have been done is already errupting. What can Australia do that might be useful? Always provided, of course, that Indonesia believes international assistance can be helpful. My colleague Sisira Jayasuriya and I wrote a book about the delivery of aid after the 2004 Asian tsunami (download here) and some of the lessons are relevant now. The first thing that Australia should do is be ready to respond very fast. Speed is essential in responding to natural disasters. Australia should offer to provide a substantial amount of financial support quickly. The offer of financial assistance should be immediate and unconditional. Aid donors often attach onerous conditions to the provision of aid. But the inclusion of conditionality in an offer of emergency aid such as this would be inappropriate. Second, Australian support should be provided in close cooperation with key Indonesian agencies. The key question is what are the immediate needs in Sulawesi? The Australian response should be strongly demand-driven. Indonesian counterparts can tell Australians what the urgent needs are, and Australia should listen to them. This might seem obvious, but too often, international aid is supply-driven. Donors are often inclined to provide the sort of aid they think might be helpful rather than the aid that is really needed in the field. Third, we should be flexible in the type of aid we are ready to provide. We should be ready to disburse assistance to survivors quickly in the form of cash. It might seem strange to offer cash transfers in the midst of a natural disaster. But experience in many other countries suggests that whether cash or commodity-type aid is appropriate depends entirely on the situation. It all depends on local economic conditions. If the main impact of the disaster is localised, and if ample supplies of assistance are available in nearby local markets, then the provision of cash to survivors of the disaster can provide highly effective and immediate relief. If survivors have cash to spend on their own needs, private market suppliers will quickly provide goods that are needed from nearby areas. This cuts through red tape. Further, the Australian aid response should be ready to work with local communities in Sulawesi – and without excessive paperwork. 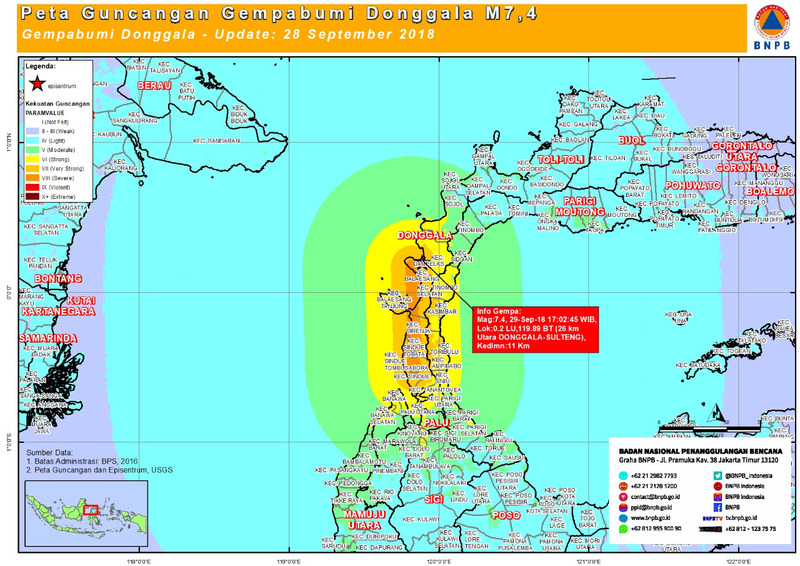 There are many well-organised non-government organisations in Indonesia which are certainly ready to respond quickly to the disaster in Sulawesi. The list provided by the leading Jakarta think-tank SMERU provides a good guide for possible partners to work with. Two main lessons should be drawn from international experience following numerous other natural disasters: first, that cooperation with local communities is often a very effective way of providing aid, and second, local communities just cannot work with international agencies if donors are too bureaucratic. If it proves too hard to provide humanitarian aid quickly, Australia should look to the longer term. It is useful to focus on the three stages of response to natural disasters – relief, rehabilitation, and reconstruction. After the immediate crisis is past, there will be a need for longer-term rehabilitation of survivors. Disasters of this kind in Indonesia often leave hundreds of thousands of people without proper housing and other facilities for months at a time. The long-term consequences for children can last for many years. And, later, Australia can offer support with infrastructure aid to help the reconstruction of damaged houses, schools, and major roads and bridges. After the 2004 Asian tsunami swept away over 200,000 people across Asia, donors worked for over five years in Aceh province in Indonesia to help the reconstruction effort. Peter McCawley is a former Deputy Director General of the Australian aid agency AusAID, and is a visting fellow, Indonesia Project, ANU, and has worked on Indonesian economic affairs for many years.